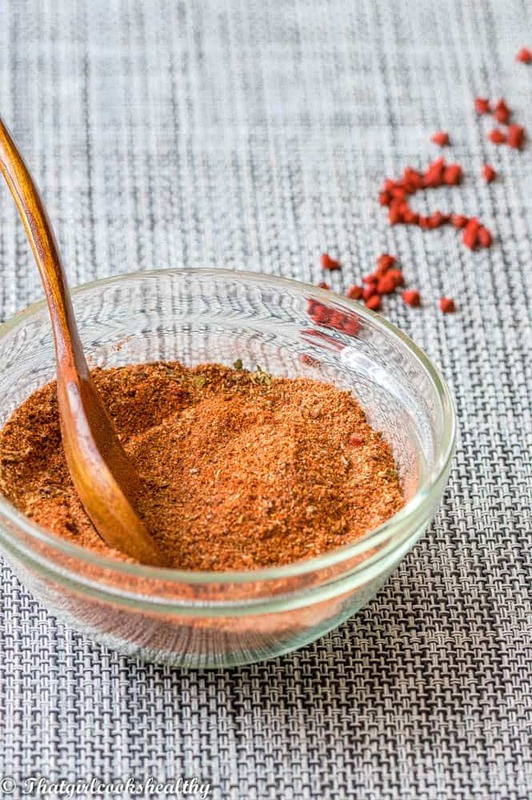 Sazon seasoning recipe – Learn how to make this popular Latin American seasoning blend, that’s full of flavour and yields vibrant colour. If you have been following my blog since the beginning then you will know that I LOVE to make my own seasoning from scratch. Now I’m adding to multi-purpose, Latin sazon seasoning blend to the mix know as “sazon”. It’s very very simple to make using a handful of herb and spices. I first came across sazon when I visited the states, during my visit I was a foodie but not a blogger. Therefore I didn’t really pay much attention to it. When I went to the supermarket in Florida with my mother, she picked up some sazon and Mrs Dash seasoning and brought some back to the UK. I remember using the brand Goya’s “sazon” the word means seasoning in Spanish FYI. 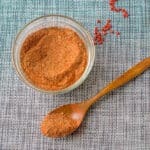 For some of my Mexican cuisines and I actually ended up enjoying the spice blend. Unfortunately, because the UK doesn’t have a large Latino population in comparison to the States makes it much more difficult to obtain. One thing I didn’t like about Goya’s sazon was the use of MSG, a controversial ingredients that linked to health adversaries. This excess use of MSG made me even more determined to make my very own version of the spice blend, homemade, flavoursome, sazon without MSG. 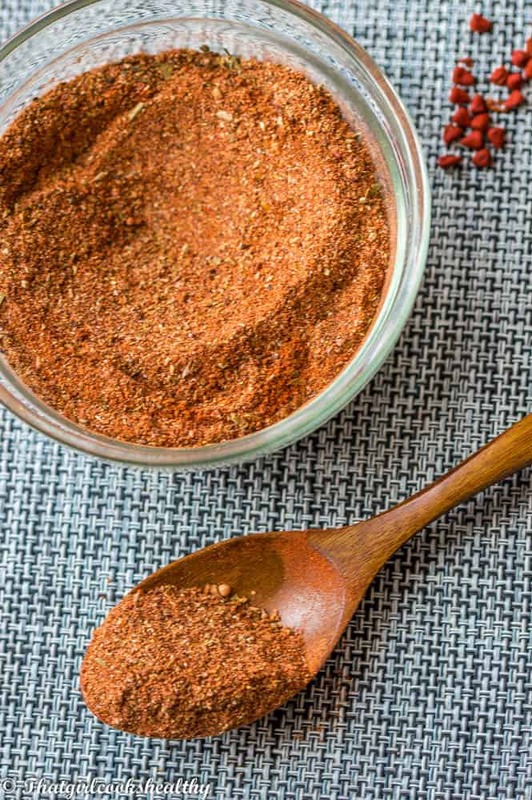 Sazon comprises of a combination of herbs and spices that are widely used in Hispanic cooking. The sazon seasoning ingredients ………. The use of both onion powder and pink salt is optional. Some people like to omit the use of salt and add it on an individual basis. I personally prefer to include all the listed ingredients during the preparation stage. All of the ingredients listed above can be mixed together by hand. However if you are using seeds then a pestle and mortar or spice grinder should be used to breakdown the seeds. Annatto is a orange/yellow flavouring and food colouring that comes from the seeds of the annatto tree. It’s very popular in Latino cooking a good example of it’s use is in yellow rice. 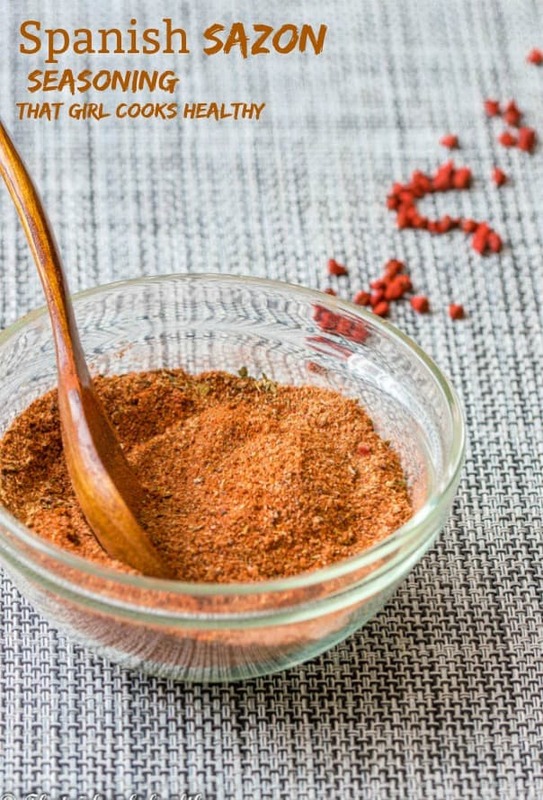 Although annatto is the key ingredient, the good news is that you can make your own sazon using a substitute by mixing 1/2 tbsp of turmeric with 1/2 tbsp of sweet paprika instead.